to create a beautiful, functional residence. 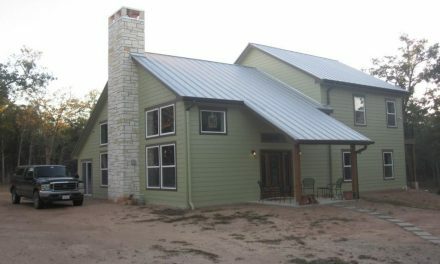 The owner, a professional architect, designed the 1,900 sq. 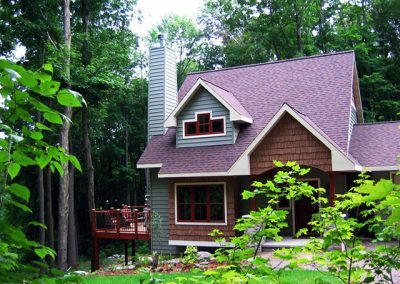 ft. Craftsman-style cottage to fit into a hillside overlooking a quiet lake nestled in the forest. 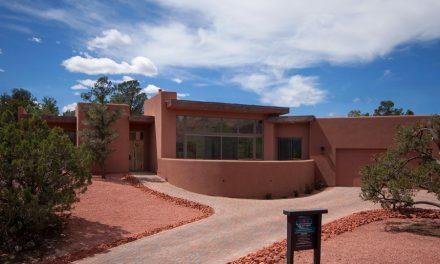 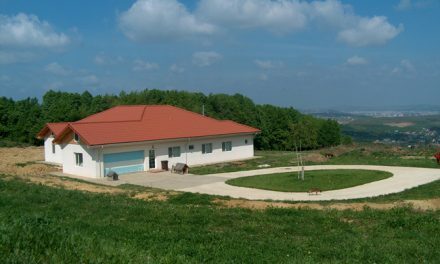 To take advantage of the views, the home has 12 corners, with 360 degree views from the dining area. 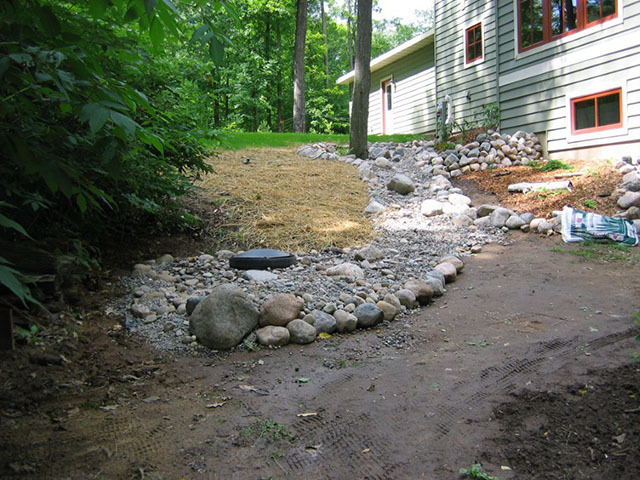 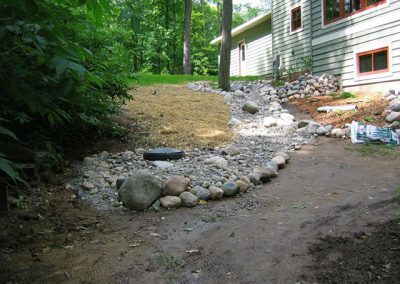 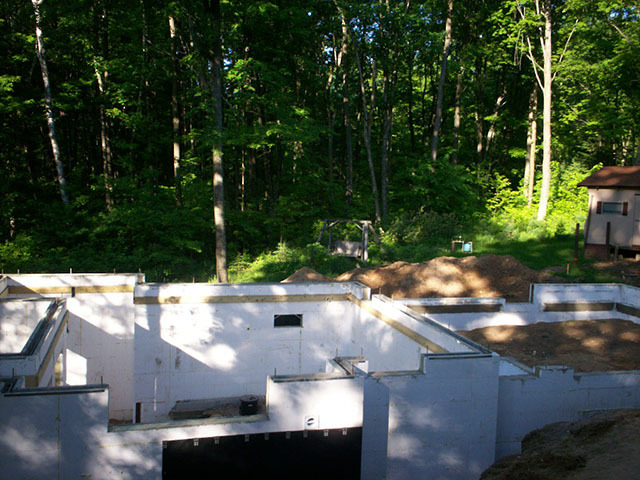 The sloping lot allows a walkout basement. 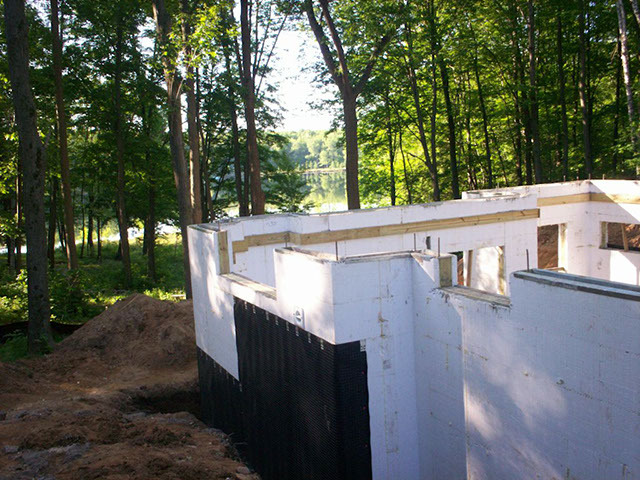 Measured from the base of the footers to the top of the 12/12 pitch ICF gables, the walls measure an impressive 38 feet. 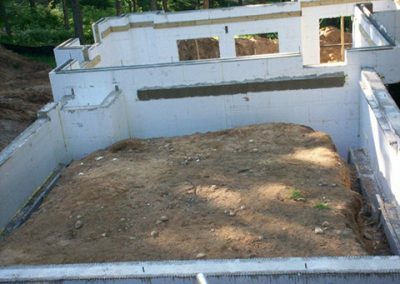 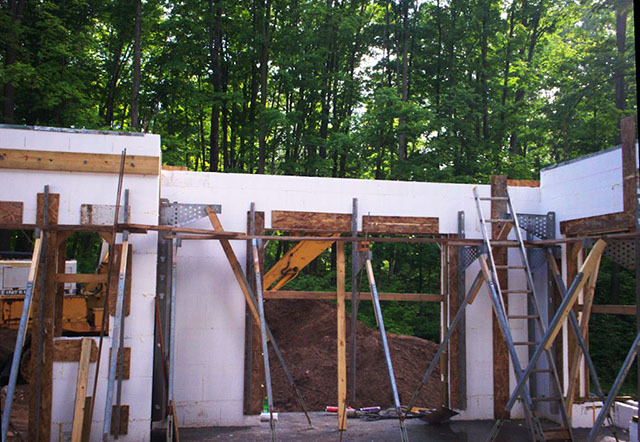 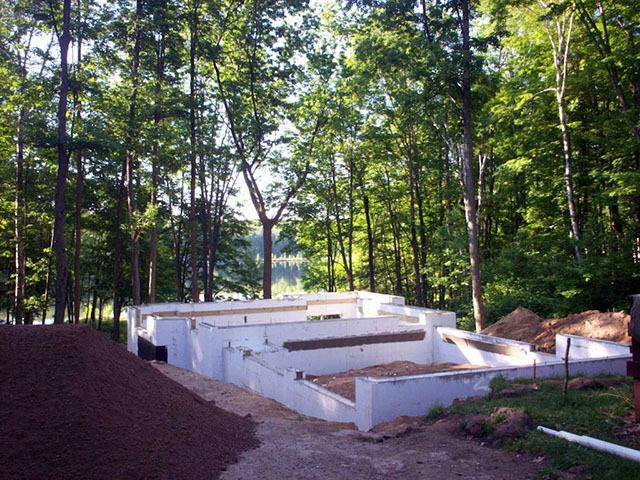 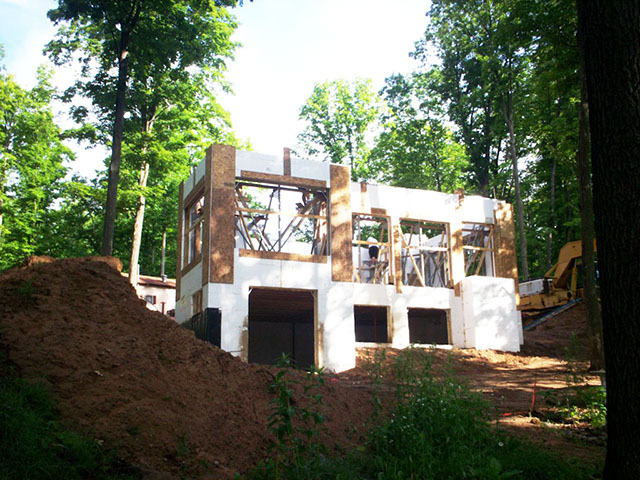 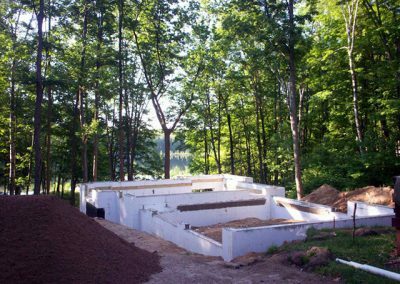 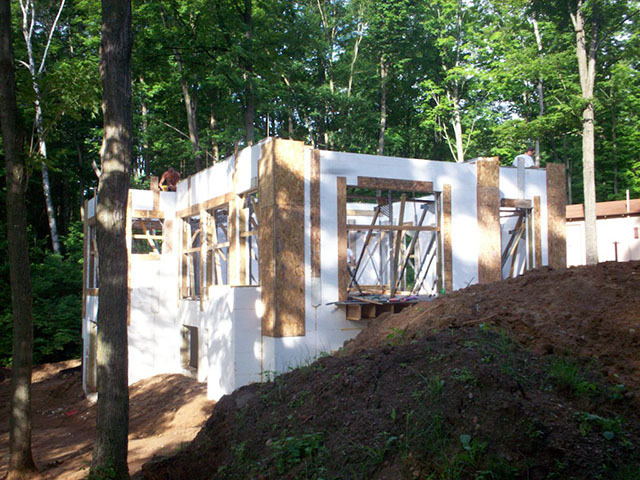 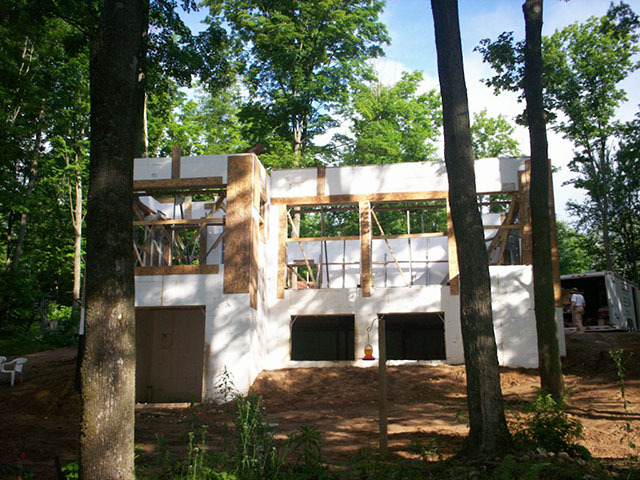 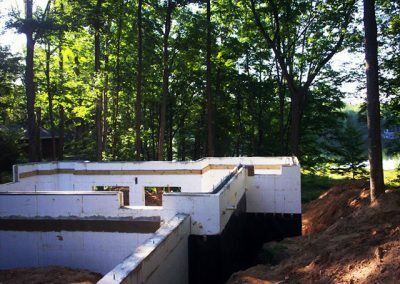 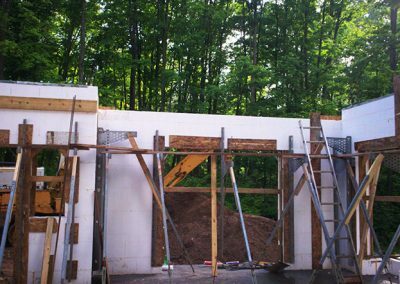 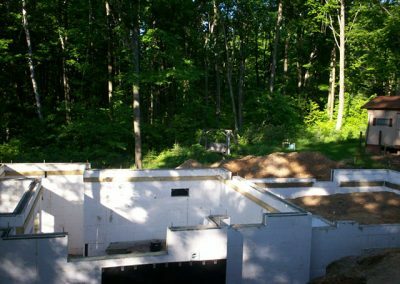 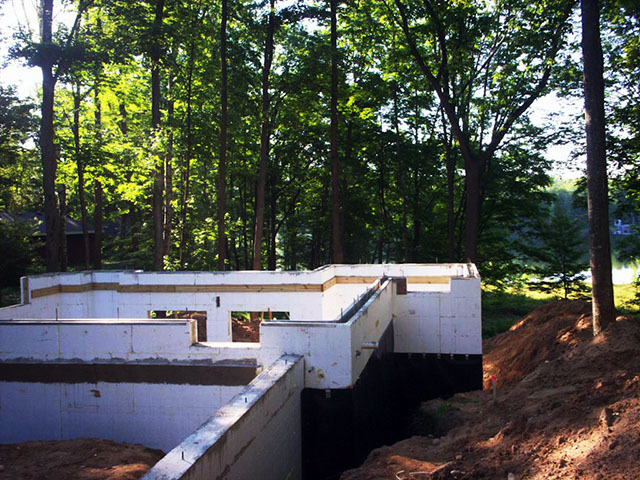 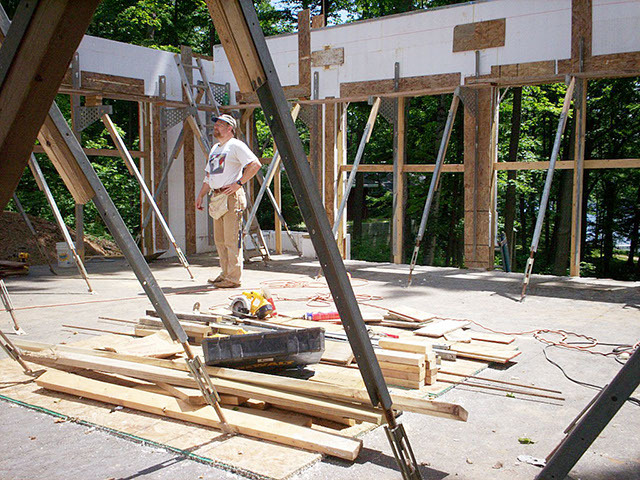 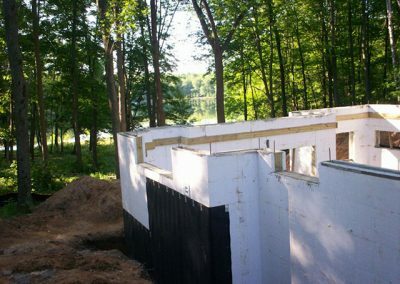 Radiant heat and gypcrete decking were used to maximize the home’s energy efficiency, but it made for a very ICF-intensive job. 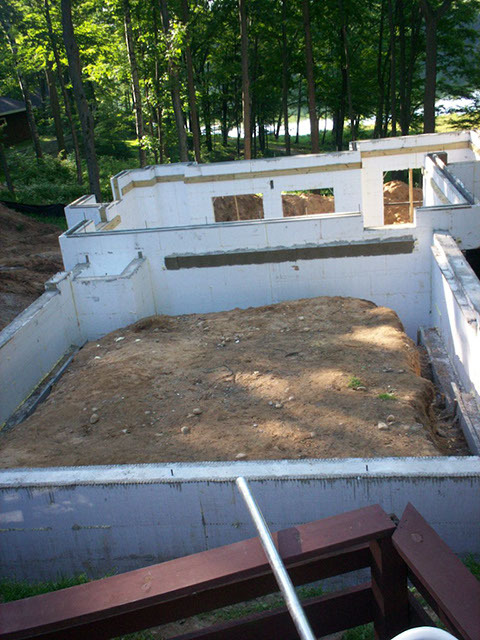 More than 4,000 sq. 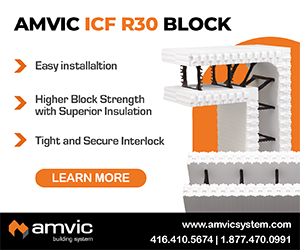 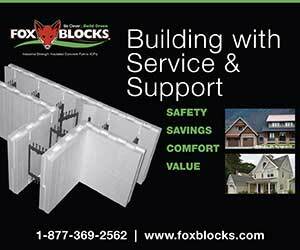 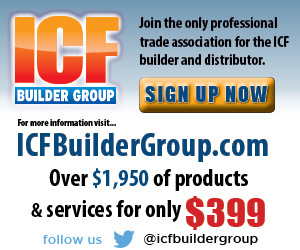 ft of BuildBlock ICF was used. 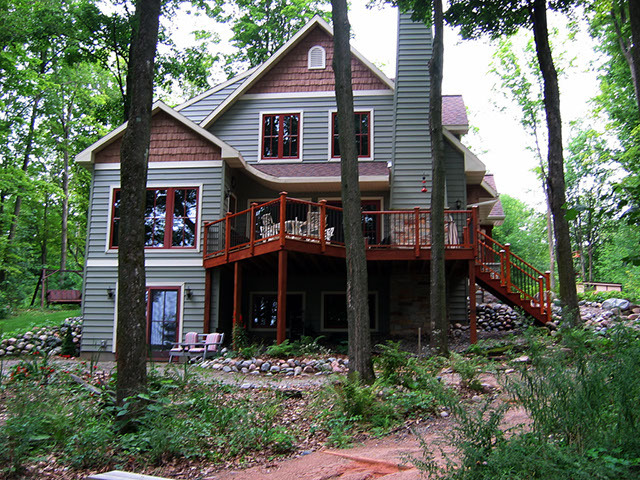 Completed in May of 2009, the Maertz’ have now had several years to enjoy their seasonal residence. 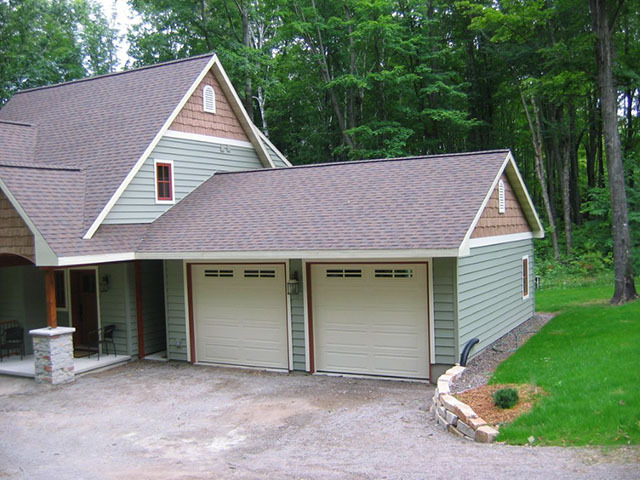 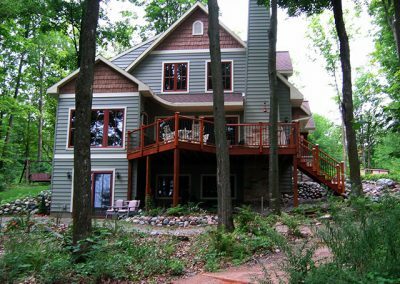 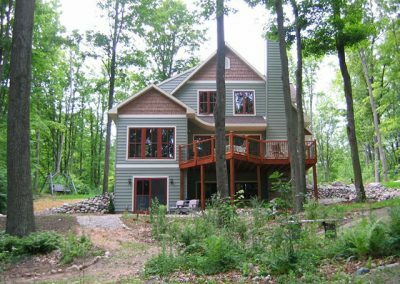 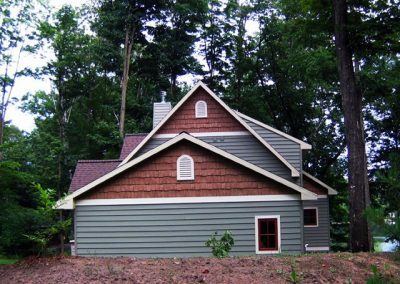 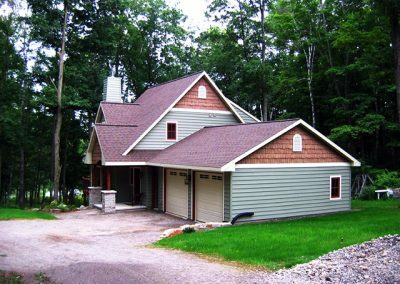 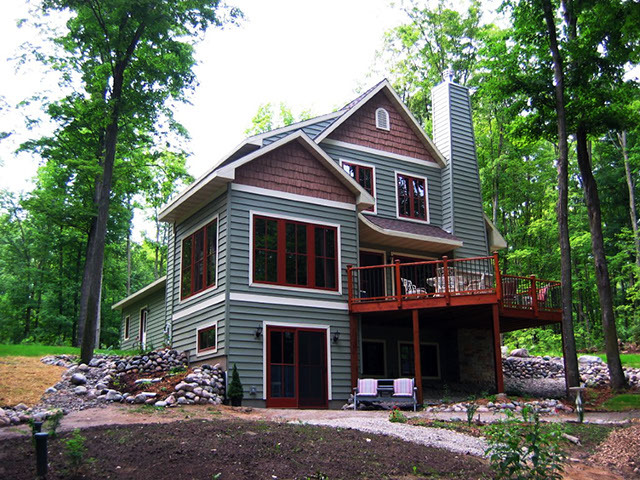 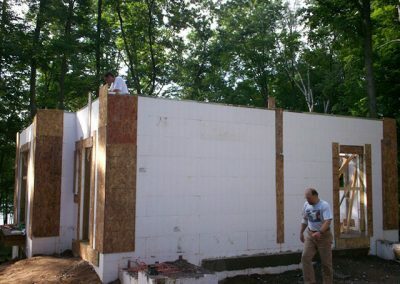 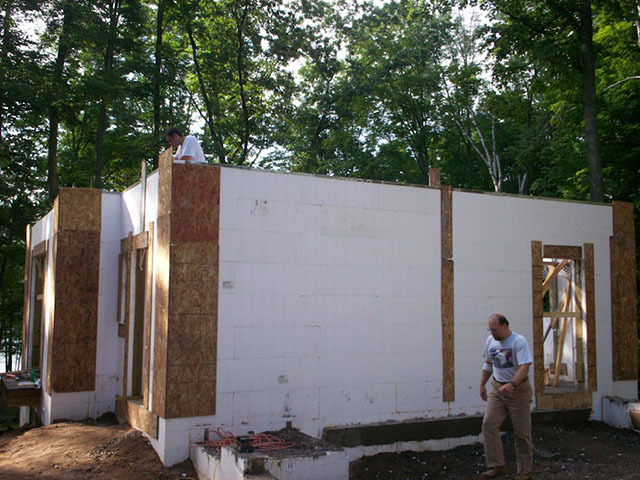 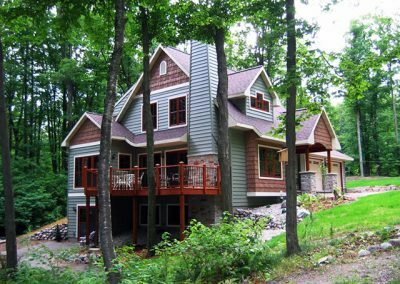 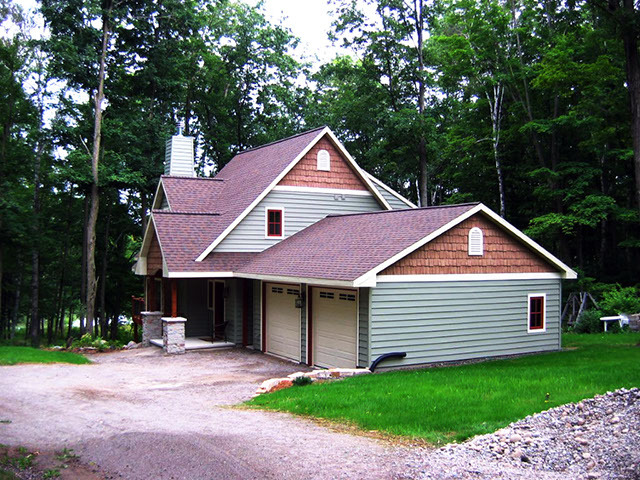 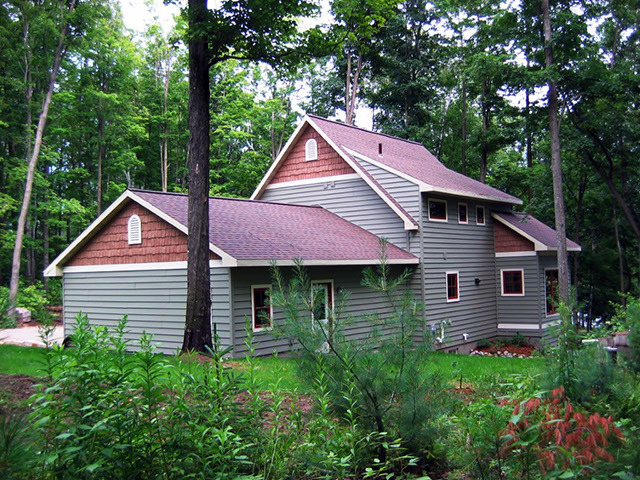 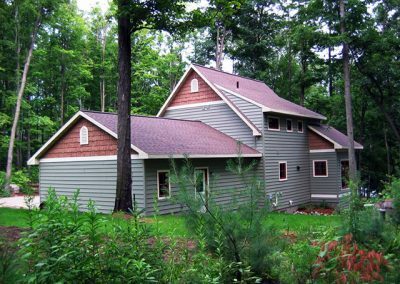 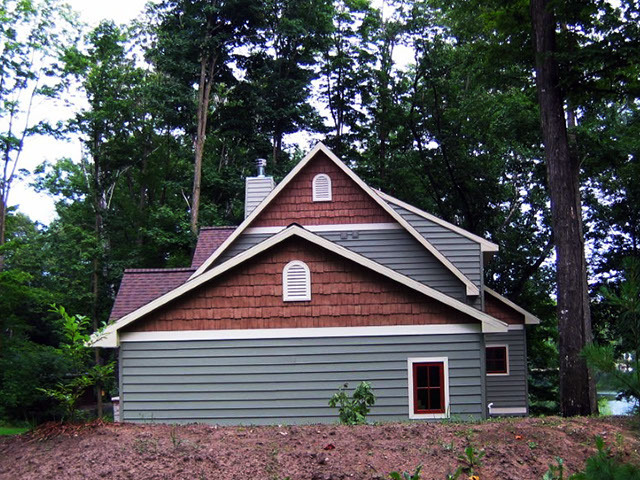 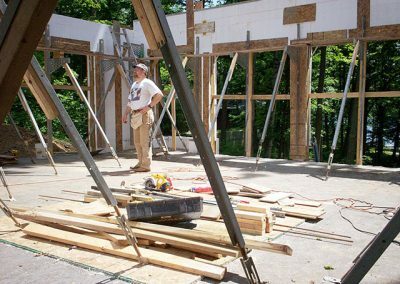 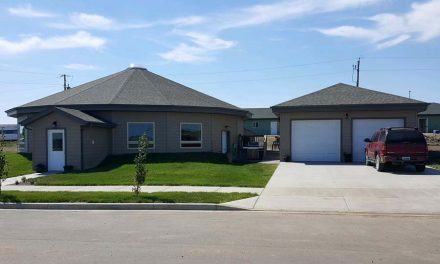 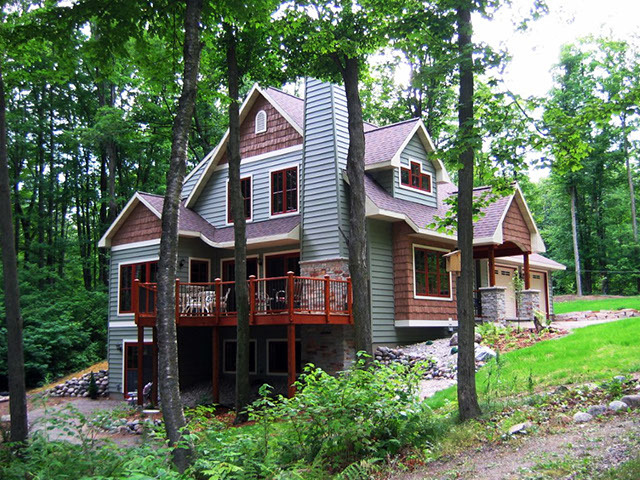 Tim Maertz says, “As the designer/owner, I also assisted in building the cottage, and I can say for a fact that ICF construction makes a very energy efficient, quiet, and safe home. 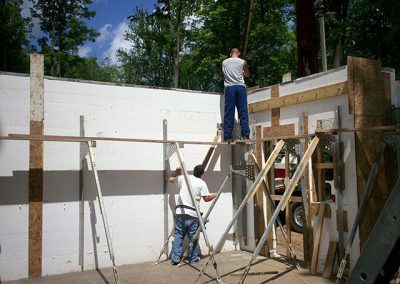 You can feel how solid it is. 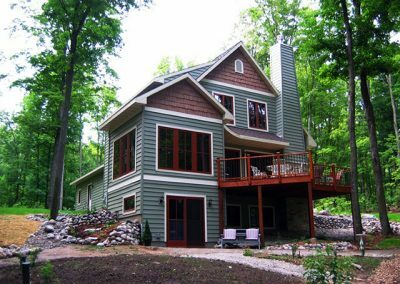 I’m extremely satisfied with how it turned out.